Here's the place to link up your reviews of books with fire (or equivalent) in the title. Just here looking over the challenge for 2013. Copied the photo icon with the pretty flowers. Then, didn't use it. Didn't know whether you wanted challengers to use it. Would Fever count for this one? I've posted my review for this category on my blog and linked here. The first book in this overall challenge. My third book! "Nothing Left to Burn" by Jay Varner. My first book! "Cinder" by Marissa Meyer. This is my third book for the challenge so I'm halfway through. I just love doing this one and finding books that fit! 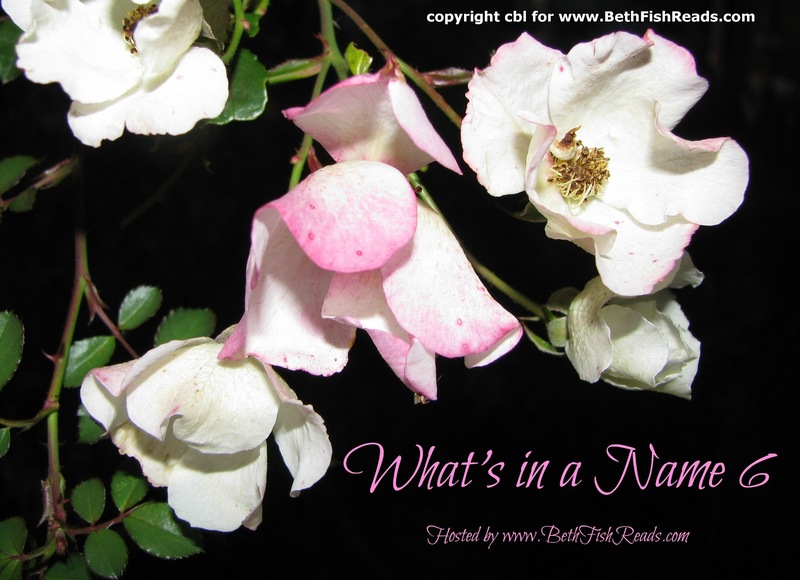 Just posted the review for my 4th What's in a Name challenge book with two more to go! Just completed :title with Fire or and equivalent. Brain on Fire: My Month of Madness by Susannah Cahalan. Very Good. I did read a backlist title, Chariots of Fire (by W.J. Weatherby.) When I first saw it at one of the library sales, I thought to myself, "I had no idea that it was a book first!" Well, it wasn't. It turns out that it's a novelization of the movie. To the authors credit, even though I hadn't seen the movie in thirty years, I was able to recall the scenes very clearly through his prompts. But really, it wasn't very good writing: There were odd shifts in POVs and a little obvious didacticism which made me wonder if this book was meant for a juvenile audience. Regardless, it was a short novel (176 pages) and now that I've burned through it, back to the donate stream it goes! A Winter Flame is a not-so-satifying read for me. It lacks emotion and I found it hard to connect with the main character. I love this challenge! I just finished reading a book by David Sedaris and then got to use this challenge as an excuse to go ahead and read another. Thanks! Kiss of Fire is my 6th book and completes this challenge. I read Flame and Shadow by Sara Teasedale. Rachel Kushner's The Flamethrowers will probably be my only fiery read this year; I think I was just lucky with it! Read "Dead Heat", a Shell Scott mystery by Richard Prather. Shell is one of my favorite fictional private eyes. I actually read this several months ago (April), but only got around to write the review today. I read Fire and Ice by Dana Stebenow 4/5 and A Trace of Smoke by Cantrell 5/5. Fire and Ice is a series set in Alaska - it's been going for awhile but it's till enjoyable. The Cantrell book is set in 1930's Berlin - very well written - worth starting the series. I like that second one for rule busting.